Fennel is native to the mediteranes. 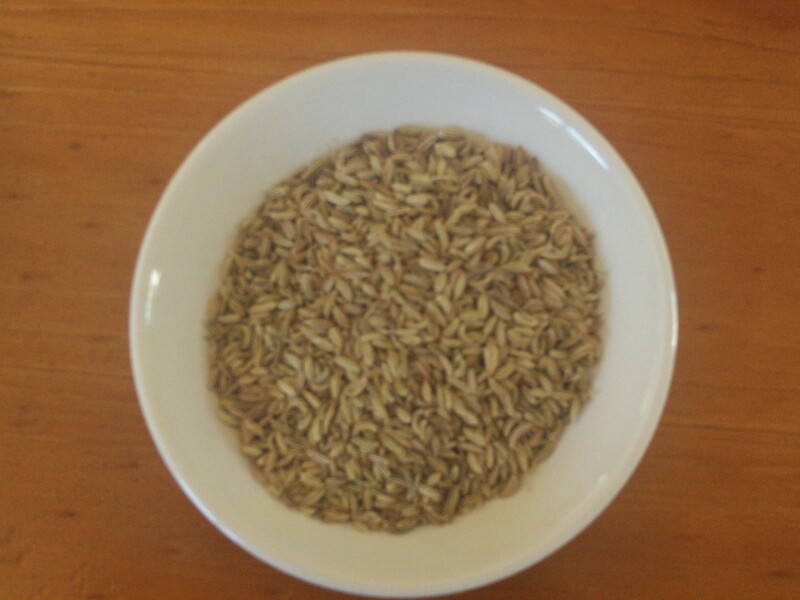 Fennel is available as whole seeds or grounds. The green leaf, stalk, and bulb of the florence fennel are used as garnished or vegetables in the mediteranian region. The fruits, also referred to as seeds are oval and ridged. They are bright or pale green to yellowish brown in colour. Fennel has a fresh camphoraceous anise like aroma with a slightly bitter taste. Fennel seeds contain calcium, potassium, magnesium, phosphorus, sodium, and Vitamin A.
Fennel seed is a popular spice in Europe. The english use the seeds in soups. The Germans enjoy them in breads, fish and sauerkraut. The French toss them in fish soups, and Herbs Provence. Italians add it to pasta sauces, sausages, pizza, meatballs, salami, pepperoni and sambuca. The Spanish flavour their cakes and other baked goods with it. The Arabs use it in breads and salads. In Asia fennel seeds compliment rich fish sauces, roast pork, mutton and lamb sauces, sweet and sour dishes, roast duck and cabbiges. Ancient Europeans considered fennel as a sacred herb. The seeds were taken to ease coughs, to stop hiccups, sharpen eyesight, and cure earaches. Do you know that you can use the fennel seeds to make a fennel tea?